Sol Plaatje University has been conceived as a source of pride, both for the Northern Cape Province and for South Africa.The university will draw on the distinctive strengths and heritage of the Northern Cape, stimulating provincial and national development. 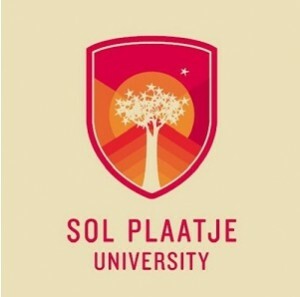 Sol Plaatje University has been conceived as a source of pride, both for the Northern Cape Province and for South Africa. It has been orientated to take a respectful place among the institutions of higher learning that serve our nation. It will provide young people with education and qualifications in a range of fields, as much for their personal advancement as for the benefit of our nation and economy. The university will draw on the distinctive strengths and heritage of the Northern Cape, stimulating provincial and national development. In its first year (2014), the university will offer three programmes: a Diploma in Information Technology: Applications; a Diploma in Retail Management; and a Bachelor of Education Degree for secondary school and FET teachers of mathematics, natural science and technology. Decisions on future programmes are still under discussion but the areas that are being envisaged for future qualifications at the institution include renewable energy, African languages, mining, arid-terrain agriculture, commerce, heritage studies, museum studies, restoration architecture and archaeology. Given its location in the Northern Cape and proximity to as the Square Kilometre Array (SKA) and the South African Large Telescope (SALT), Sol Plaatje University will also be developing knowledge and skills in disciplines related to space exploration. As President Jacob Zuma said earlier this year, the university has the potential to inject new life and purpose into this historic mining city. Kimberley was the birthplace and hub of South Africa’s mining industry, a place bursting with energy that attracted people from all over southern Africa and from other continents. Sol Plaatje University will now give Kimberley the opportunity to inject similar energies into the kinds of academic, intellectual and cultural pursuits that can revitalise the city. Visit Sol Plaatje University's website for admission requirements, courses and bursary information.